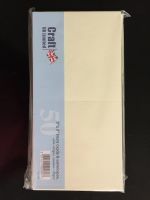 A pack of 50 ivory, square, blank cards with matching envelopes, ready scored for quick and easy folding. 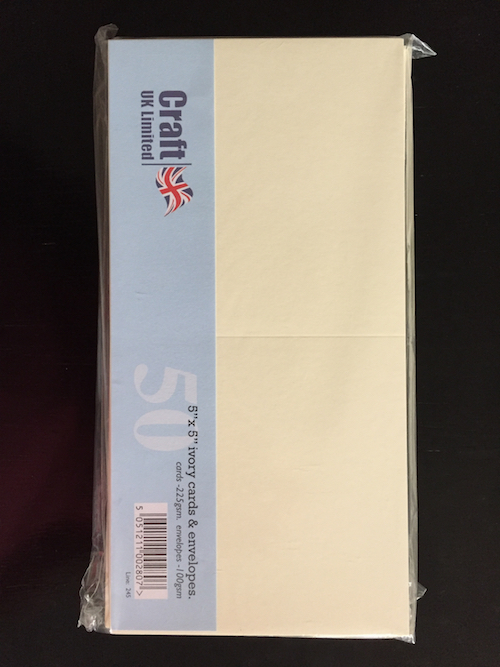 The cards are 250 gsm smooth ivory card and the envelopes are 100gsm. Perfect for creating your own greeting cards, invitations etc. Also available in packs of 5.